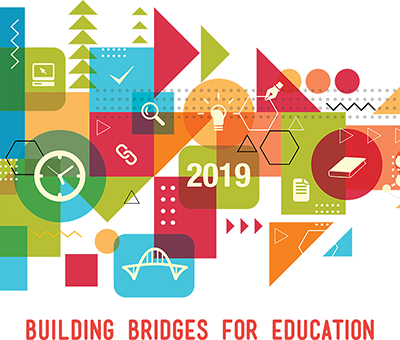 McKissick Architecture was the Platinum Sponsor at this year’s North Carolina Association for Learning Environments annual conference – themed “Building Bridges for Education”. For the first time, the conference was held in Winston-Salem, North Carolina – where McKissick Architecture has its office. We’re so proud to have so many people in the educational planning world in our town to see the fantastic changes that have been happening here in Winston-Salem. People who haven’t been to this city in 5 or 10 years will see so many changes! And the positive energy and effort underlying the successes here in our city and especially in our own neighborhood of the Innovation Quarter, really represent the kind of positive changes that can be effected in the education arena. The Association for Learning Environments is a non-profit association whose sole mission is improving the places where children learn. In addition to participating as a conference sponsor, McKissick Architecture was represented by Vern McKissick (an accredited educational planner by the A4LE organization) as a session speaker where he addressed planners and educators on strategies for developing specialized program STEM space within existing buildings. News What We're Doing McKissick Architecture is Platinum Sponsor of A4LE NC Conference Held in Winston-Salem, NC!